Working together we will create an events that reflects you, your company and the quality you expect from dedicated and experienced professionals. 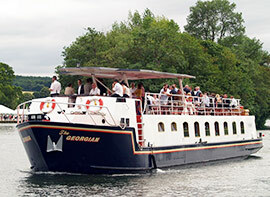 Our floating hospitality venues offer a superb location for your wedding or other celebrations. Be it for a formal event, fun with friends or simply from A to B we have it covered. 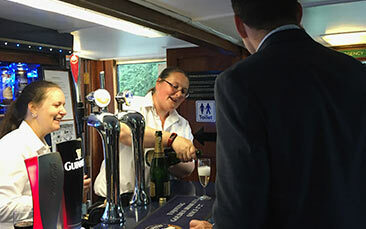 Experience the Thames in all its glory with first class food and live knowledgeable commentary aboard a superiority fleet of vessels offering value for money. Light lunch? Afternoon tea? What better way to spend the day? Exquisite menus, sunning views and all the Pimm’s and champagne one could ask for. A unique way to entertain clients, reward employees or bring a team together. Team building activities designed to challenge and inspire your group and bring them together, close up magicians to help break the ice or let your hair down and dance the night away stimulating your imagination and create the perfect night afloat. 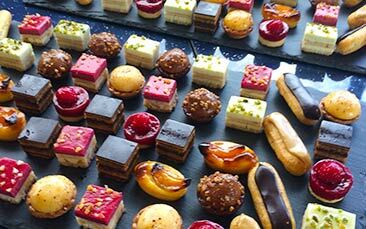 Whether it be a formal dinner or stylish canapés we can cater for your business needs. Specialising in bespoke menus, freshly cooked onboard with our experienced chef let us create the perfect corporate function for you. Offering a wide range of inclusive drinks packages to make sure your event stays within budget. Ranging in price make sure guests feel like they have been looked after while making sure the budget doesn’t sail down the river! The Windsor & Maidenhead Boat Company The Windsor & Maidenhead Boat Company updated their cover photo.